Jury Duty for Wednesday April 17, 2019 is NOT going forward, jurors DO NOT need to appear for Jury Duty. Welcome to the Marion Municipal Court website. The purpose of this website is to make available public records held by the Clerk of the Court, as well as information regarding the operation of the Court. The information provided on this website is updated regularly. However, there will be a delay between court filings and judicial action and the posting of such data. Information on the system may be altered, amended or modified without notice. If you require verified information as to the records of the Marion Municipal Court, you may send a written request, use the online public records request form, or visit the Court in person during regular business hours. 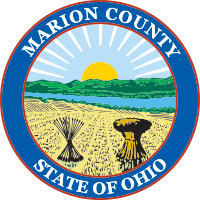 Marion Municipal Court is located at 233 W. Center St., Marion, Ohio 43302, City Hall Builidng, 2nd floor. Hours are Monday through Thursday, 8:30 a.m. to 4:30 p.m and Friday 8:30 a.m. to 12:00 p.m. Please read Judge Ballinger's article "A Judge's Perspective on Bridges Out of Poverty" appearing in the fourth quarter 2010 issue of For the Record.